Assembly Bill 1088 (“AB 1088”), signed by Governor Jerry Brown on October 14, 2017, took effect on January 1, 2018, and added a section to California’s Fair Employment and Housing Act (“FEHA”) restricting an employer’s ability to make hiring and personnel decisions based on the applicants criminal history or conviction record. AB 1088, applicable to government and private employers with five or more employees, makes it unlawful for employers to include any questions about an applicant’s conviction history before extending a conditional offer of employment (which includes oral questions during an interview). 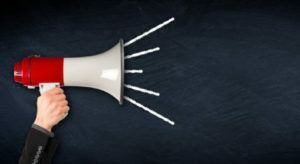 Employers are also prohibited from considering, distributing, or disseminating information about any of the following when conducting a criminal history background check in connection with any application for employments: (i) an arrest that did not result in a conviction, subject to the exceptions in Labor Code §§ 432.7(a)(1) and (f); (ii) referral to or participation in a pretrial or post trial diversion program; and (iii) convictions that have been dismissed, expunged, sealed, or otherwise vacated pursuant to law. Pursuant to AB 1088, an employer can consider an applicant’s criminal history after the employer has made a conditional offer of employment, however, an employer cannot deny the applicant a position based on the applicant’s conviction history until the employer performs an in depth “individual assessment” considering all the specified circumstances and information. To that effect, AB 1088 set forth specific steps the employer must take in performing this individual assessment. Specifically, the employer must determine whether the conviction history has a “direct and adverse relationship” with the specific job duties and, in doing so, must consider (i) the nature and gravity of the offense, (ii) the time that has elapsed since the offense or the completion of the sentence, and (iii) the nature of the job sought. Once this individualized assessment is completed, the employer must then notify the applicant, in writing, of the preliminary decision to disqualify the applicant for the position due to the applicant’s criminal history. AB 1088 mandates that this written notification (i) identify the disqualifying conviction(s) that is the bases for the preliminary decision to rescind the conditional employment offer, (ii) provide a copy of the conviction history report, if any, (iii) explain the applicants right to respond and challenge the accuracy of the conviction history and/or provide evidence of mitigating circumstances or rehabilitation, and (iv) provide a deadline of no less than five business days after providing the notice for the applicant to respond. Once this notice is provided pursuant to AB 1088, the employer cannot make any final determinations until the expiration of the response window provided in the written notice (i.e., no less than five business days). If the applicant timely notifies the employer, in writing, that they would like to challenge the conviction history and is taking steps to gather all necessary evidence to support their challenge, the employer must provide the applicant with an additional five business days to respond to the notice. The employer must also consider any additional evidence or documents the applicant provides the employer in challenging the disqualification before making a final determination or decision. If the employer ultimately decides to deny the applicant the position after reviewing any mitigating or other evidence submitted by the applicant in challenging the disqualification, the employer must again notify the applicant in writing of their final decision. Pursuant to AB 1088, this notice must notify the applicant of (i) the final decision or determination, (ii) the employers procedure for challenging the decision or to request a reconsideration (if any), and (iii) the right to file a complaint with the Department of Fair Employment and Housing. This notice may again provide the applicant with an explanation or justification for making the final decision, however, this is not a requirement under AB 1088. If the applicant files a lawsuit or civil action against a potential employer for a violation of AB 1088, the applicant may sue for the full range of damages available under FEHA, including compensatory damages and attorney’s fees and costs. 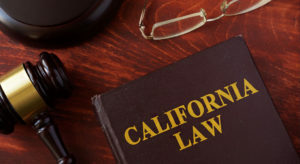 In order to comply with the new restrictions set forth in AB 1088, California employers (with five or more employees) should review their written employment applications and their oral interview questions to determine whether or not they seek an applicant’s criminal history, and if they do, revise to remove all such questions. Employers who intend to use criminal background checks or conviction reports after a conditional offer of employment should also revise or create written preliminary decision and final decision notices that are in compliance with the requirements of AB 1088. Finally, those employees utilizing the service of recruiters or “head-hunters” should ensure that they are also readily familiar with the provisions and restrictions of AB 1088 to confirm that they are also in compliance with those requirements. AB 1088 does not apply to (i) a position for which a state or local agency is otherwise required by law to conduct a criminal background check; (ii) a position within a criminal justice agency, as defined in section 13101 of the Penal Code; (iii) a position as a Farm Labor Contractor, as defined in section 1685 of the Labor Code; and (iv) a position where an employer or agent thereof is required by any state, federal, or local law to conduct criminal background checks for employment purposes. As we launch our new website we have reflected on the fact that for more than three decades Frandzel has been a recognized leader, providing legal counsel and litigation services to financial institutions and businesses. Our firm is built on highly responsive service incorporating trusted knowledge cultivated over the years. We are about helping our clients achieve their business objectives always striving for creative solutions to the toughest challenges. We have great pride in our warm culture and mentoring environment. It has, in fact fostered many careers with longevity for our attorneys and staff. Our client relationships have stood the test of time and work with us as a valued business resource. We look forward to continuing to serve the banking and finance communities incorporating with our time-tested culture and accumulated wisdom.